If you’ve already made up your mind to install a conveyor at your factory or office, then the next step is to actually pick out and buy a conveyor. There are many types available from which you could pick, ranging from steel belt conveyors that carry heavy loads, to conveyor belts that are customized to suit individual needs. The first factor to consider while shopping for a conveyor is safety. Conveyors carry a lot of materials, some of which are soft and hardly life-threatening, but others carry heavy-duty objects like metal which can be very dangerous. This makes safety a paramount consideration, and when it comes to a conveyor, several features should be considered. Your employees should be able to use the conveyor with ease, not put themselves in danger while using it or moving around it. It should also have an automatic shutdown system which is triggered, as well as indicators that set off audial and visual alarms, in case something goes wrong. 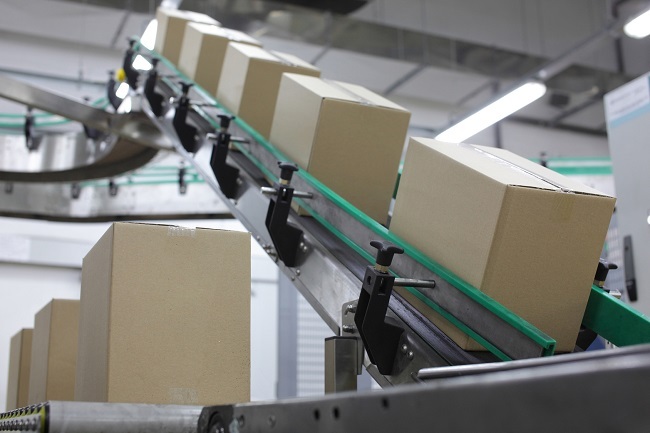 A conveyor has almost as many moving parts as the materials that are normally carried on top of it. Further, the conveyor moves across levels, and in multiple directions, so there is a lot of room for things to break down. If a conveyor should break down, your entire factory or unit could come to a standstill. This is why it must be easy for you to take care of conveyor maintenance and repairs. For this to be the case, every component that goes into the conveyor must be certified by corresponding regulatory bodies, and the conveyor should be able to run for long duration without needing constant attention. There are normally two costs that are associated with any machinery – maintenance and energy consumption. If you have already understood the maintenance part, then you also need to look for a conveyor that consumes less energy. You should ask the manufacturer or supplier about energy consumption for a specified duration, like “per hour consumption”. A conveyor is something that is normally running round the clock, especially in the manufacturing, food, pharmaceutical and transportation sectors. Still, it may not always be used to maximum capacity, despite being “on” all the time, which is why checking the energy rating is another important factor to consider before making your decision. The final factor to consider while shopping for a conveyor is its ability to be reconfigured as per need, since operating conditions and space at your office or factory might change in the future. For instance, today you could be moving materials to different points on the same level, but when you expand operations, you might be moving them between floors. This is not an essential consideration, but you should not need to buy a new conveyor when things change. It helps if the conveyor allows you to add parts to it, modify its elevation and so on (in other words, something like stacking boxes). This modularity will allow you to keep your existing investment as conditions and processes change. A conveyor is a huge part of any setup where items need to be moved in an automated manner. It is also a major investment, one that cannot easily be changed at a later time, so use the advice provided above to ensure you get the best value for your money! Northern California Compactors Inc. offers installation and support services for waste recycling equipment such as trash compactors, balers, shredders & conveyor systems. Established in 1981, it offers waste management solutions across the United States. We’d love to hear from you. Please send your query by filling out the form below. We’ll get back in 1-2 business days.